How do I change the Administrator password on Wi-Fi Extender? How do I change the Administrator password on Wi‑Fi Extender? Step 3: Move the cursor to Management at the top right-hand corner of the screen, then click Admin from the drop-down menu. 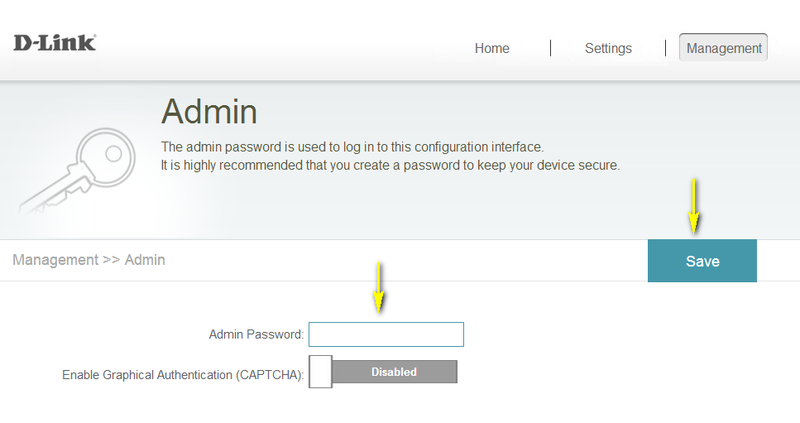 Step 4: To change the Administrator password, enter a new password in the Admin Password field. If you wish to enable CAPTCHA graphical authentication, click on the slider to adjust the setting. CAPTCHA uses a challenge-response test in order to prevent unauthorized access using automated means. Step 5: Click Save to save the current configuration.